Hey there. 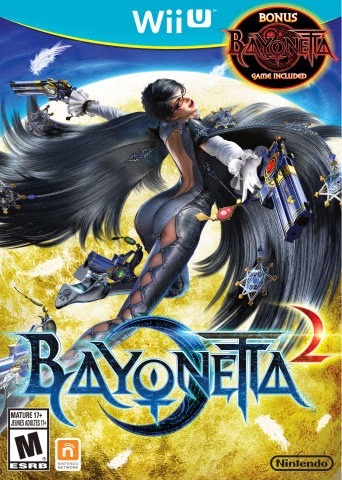 Bayonetta was a huge hit when it first hit the scene a few years back. It was stylish, it was breathtaking, it was over the top... but fans LOVED it! The controls are slick, the action intense, and the graphics are gorgeous. So imagine just how much more awesome Bayonetta 2 will be! It promises to take everything to the next level! The Umbra Witch, herself, will be more powerful with a new set of moves and weapons, and the game will feature several single and multiplayer modes. Taking down angles and demons in this thrilling quest is just another day at the office for Bayonetta! And guess what... Bayonetta 2 is exclusive to the Wii U! So let's take a look at what the game has to offer. For those of you not familiar with the game, Bayonetta is definitely one of the most original characters is video games. With magic imbued hair, chic glasses, and gun toting high heels, Bayonetta is not a damsel in distress, waiting to be rescued. She is the one causing chaos and distress and is doing the rescuing! 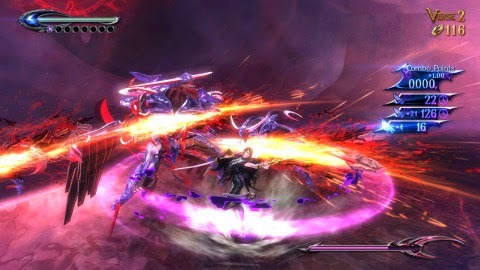 In Bayonetta 2, players play as Bayonetta and will slash, gash, and shoot through multiple levels. Some of which will find her battling a towering enemy outside of a skyscraper, taking down armies on the back of a speeding train, and battling an angel while standing on the wing of a jet fighter plane. Yeah, Bayonetta 2 can be a bit over the top but that's what makes it fun. But don't get me wrong, this is not a button masher. Skills are required if you wish to beat some of the tougher enemies. Even the game will reward you with medals, depending on how well you do in battles. Medals range from the lowly room for improvement Stone Medal to the perfect Pure Platinum Medal. Not only does Bayonetta 2 promise to be challenging, but quite rewarding as well. Also, for the first time in the series, a co-op mode is offered in Tag Climax. You can team up with a partner and take down legions of enemies together in this online multiplayer mode. Players will have a variety of in game characters to choose from and as you and your partner go through the main story mode, additional stages could be unlocked! I, for one, am looking forward to Bayonetta 2. The first game was challenging, it was intriguing, and best of all it was fun to play. With Bayonetta 2 promising to take it to the next level, there is no way that I am going to miss out on this! You can pick up Bayonetta 2 now on Amazon for $59.96! Pick it up today and let's get to taking out angels and demons together! Later!